In this article we are going to tell you about the best dive shows in the World. 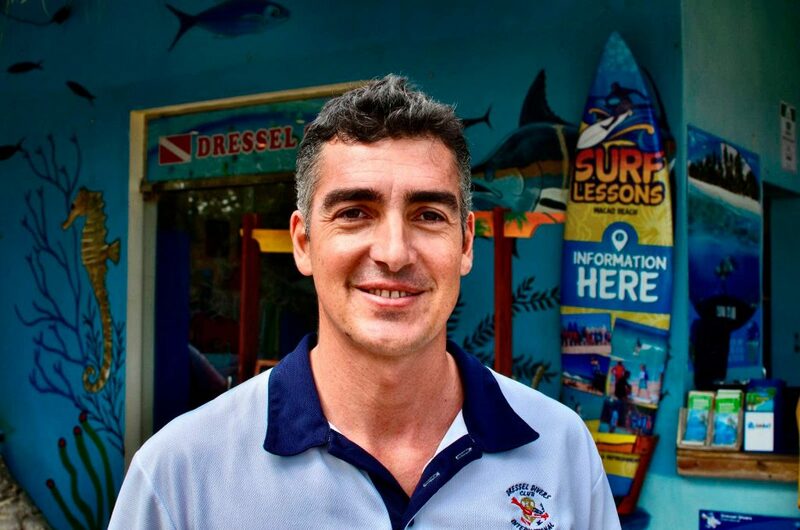 One of the best ways to continue enjoying diving while you are on the surface is visiting the different dive shows that are celebrated around the globe. Both professionals and scuba diving enthusiasts will find in the dive shows a great opportunity to keep up with the latest technical developments, to build contacts, or to discover new places to dive. We are sure now you are wondering about which are the best dive shows in the world, and which worth a visit. Don’t worry! In this article we have compiled a selection of the most prestigious dive events. In addition, we explain what makes them so special to divers. NEC Dive Show in Birmingham 2017 will take place during Saturday October 21st and Sunday October 22nd. Scuba divers from around the world will meet up in this UK city, well-known for its solid industry development. This prestigious showroom is celebrated since 1991 and it has established itself as one of the best dive shows in the world. The event covers every aspect of this sport and does it in a funny and innovative way. 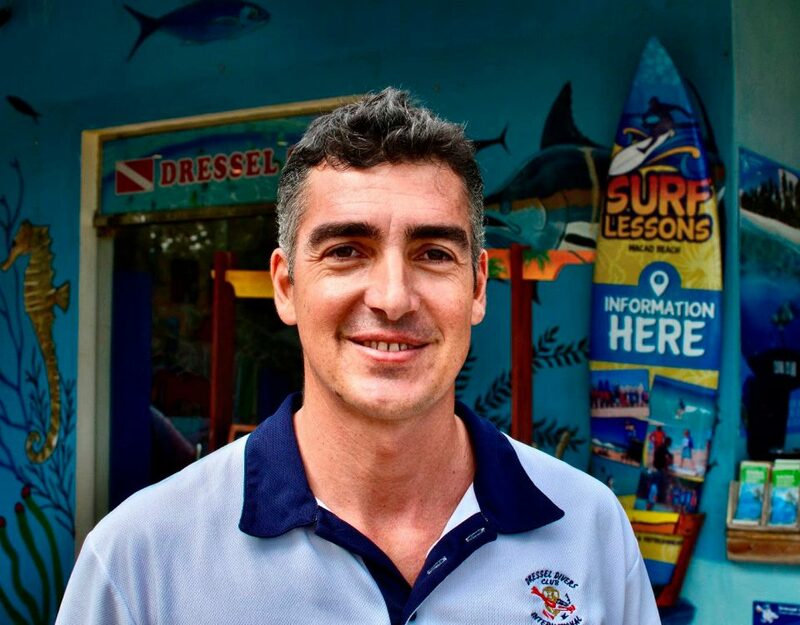 The goal of NEC is to offer solutions to every scuba diver’s wish; from the most advanced equipment on the market to the discovery of new holiday destinations, training and much more content. 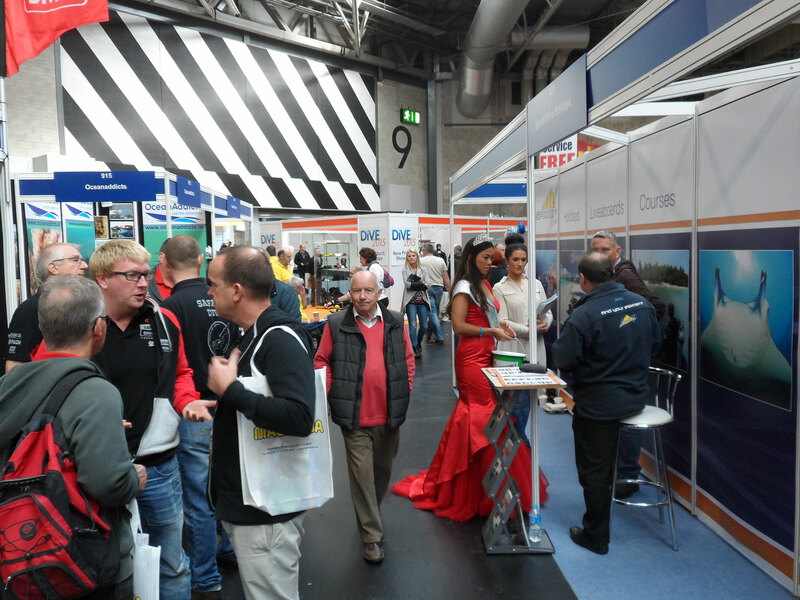 For this reason, the Birmingham dive show offers a wide variety of expert speaker’s presentations. In addition, there are other activities such as Try Dive Pool, mini-theatres, TekDek and large areas dedicated to travels, courses and underwater photography. 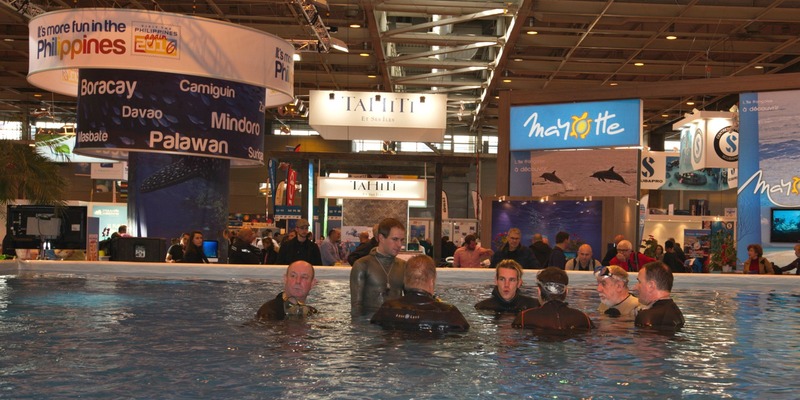 The second of the best dive shows we want to highlight is Salon De La Plongee, in Paris. It will be celebrated in 2018, from January 12th to January 15th. 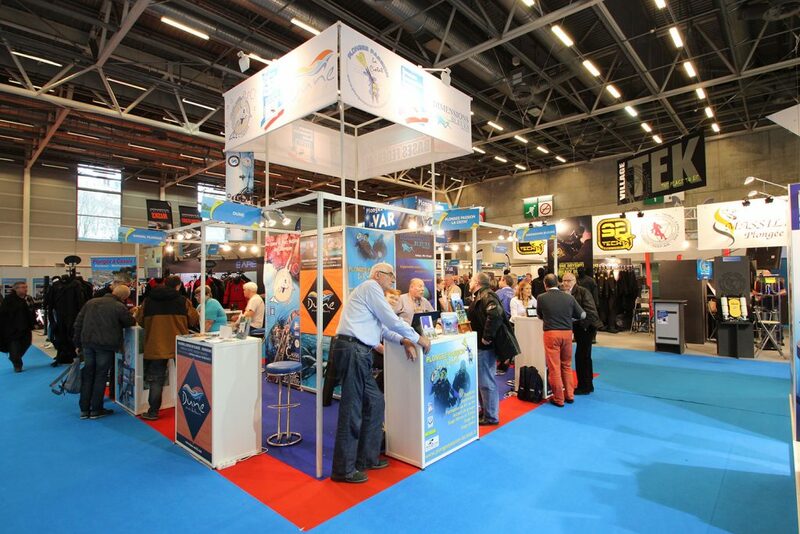 Scuba diving professionals and amateurs will have the opportunity to participate in the only France dive show dedicated to the underwater world. Dive Boot Dusseldorf is also one of the best dive shows in the world. 18 thematic areas make this showroom a mandatory appointment for all the lovers of water sports. In regards to us, the scuba divers, we are going to find a wide exclusive offer in the 2018 event. 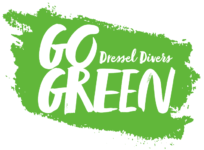 The main international scuba dive suppliers will meet up in this event from 20 to 28 January 2018 at Düsseldorf Congress Sport & Event, in halls number 3 and 4. Don’t miss it! Now is the turn of the best dive shows in America. The new edition of “Beneath the Sea New Jersey Dive Show” will be held from 23 March 2018 to 25 March 2018. If you have the opportunity to attend it, you will find several seminars, workshops and recreation areas, as well as a large exhibition hall. Moreover, medical conferences focused on scuba divers safety will be celebrated in te event. In addition, you will be able to learn the latest safety innovations implemented on equipment. 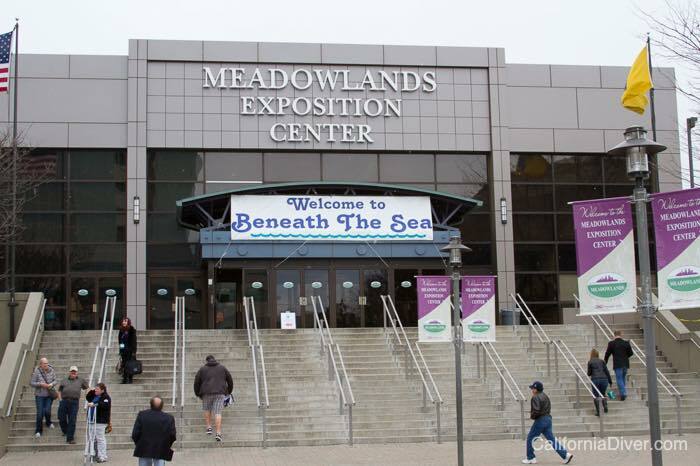 This dive show is organised by Beneath The Sea, Inc. and its headquarters is the Meadowland Exposition Center, in Siracusa, New Jersey. 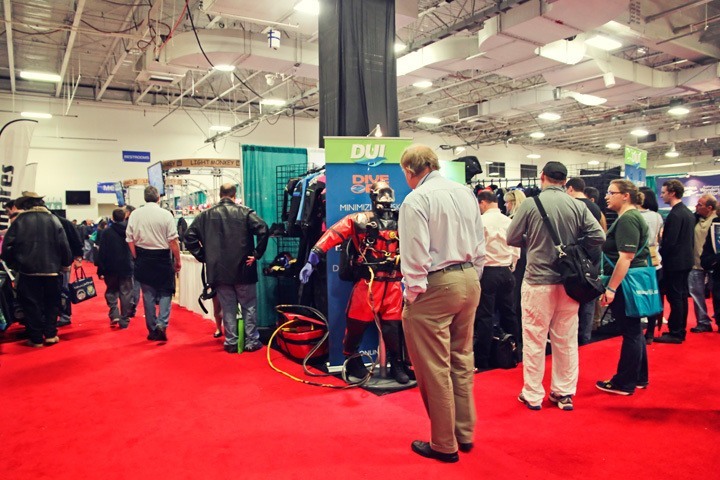 The Scuba Show Long Beach is also one of the best dive shows in the world, and, of course it is one of the most prestigious dive shows in North America. It will take place during the 23rd and the 24th of June 2018. 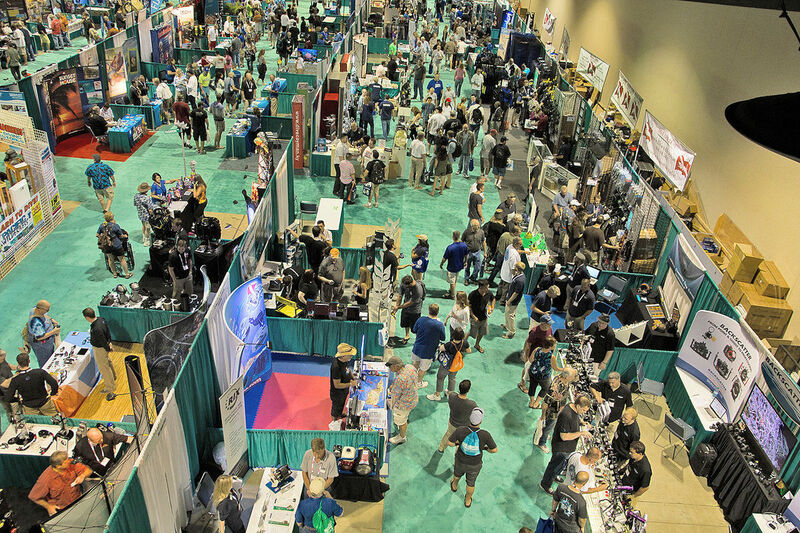 In the next edition, all the scuba dive lovers will enjoy over 76,000 square feet of exhibit and they will be informed about the offers of more than 300 exhibitors. 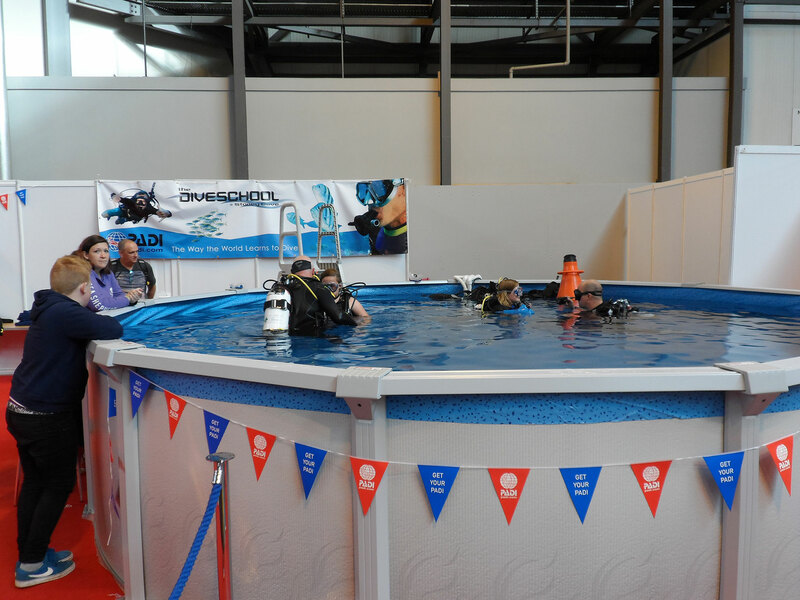 In addition, the dive show offers a large program of training and seminars. And if all this was not enough, the organization expects to give more than $43,000 in prizes. As grand finale, the event usually ends with a great farewell party. 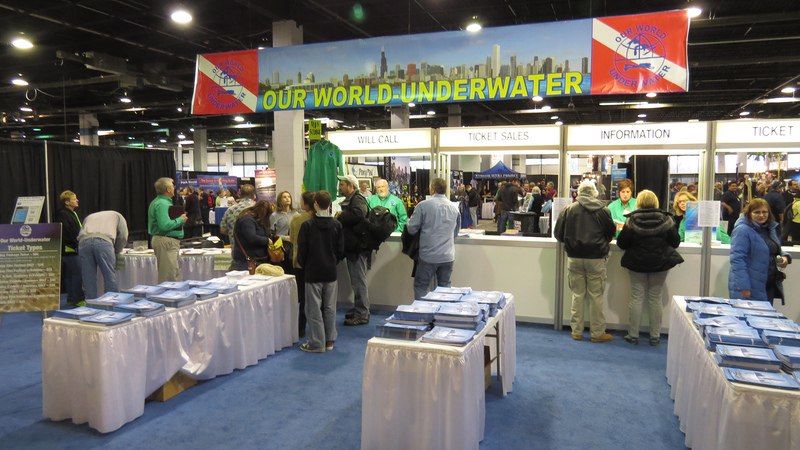 We can not leave the American continent without mentioning “Our World Underwater Chicago”. This dive show changes its dates and location the next year. So, if you are thinking about visiting it, open your diary. The appointment is on 17th and 18th of February, in the Chicago Marriott O’Hare Hotel. Besides the latest updates and developments, the visitors will be able to enjoy live scuba diving sport events. Definitely this event is also among the best dive shows in the world. Which are your favorite dive shows in the world? In this article we have made a compilation with the 6 best dive shows in the world. But now is your turn! Tell us about which one you would like to attend. In case you have visited any of them, please feel free to share your experience with us on the comments.